Nuke engineer here. I've taken most of the ME classes as well. I've taken a few EE classes, but would have liked to have done more. I've always wanted to play with microcontrollers and I figured something like this would be an interesting application. I never really got to play with them in my EE classes. Just in case anyone is interested. 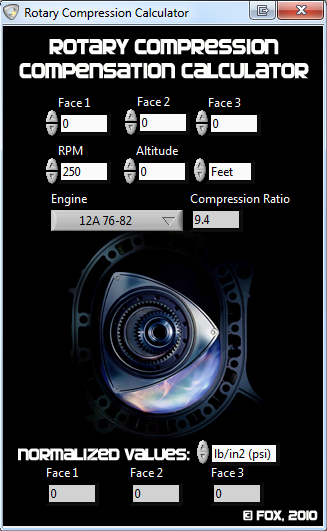 I've made a converter to compensate for elevation, rpm and the dead volume of each engine type. seems to be working on an even better one. yes he still is in development of a newer version. he isn't currently taking any orders on them but they are in the works and R&D is being allocated. Hes a pretty busy guy im not surprised he didn't get back to you. Hes a local member at out Houston club really cool guy, got to use one of these myself on my 85 original motor from the 1st owner at 150K mark tested 108, 110,108 front and back. Cool rotary tool. Now it appears it is at V2.0? too bad he never seems to have time to get the next round rolling otherwise i would be in for one. Wish he could do kits if he's short on time so I could make my own like you can with a megasquirt. Is there a way to contact him w/o going the facebook route? Yeah I second that I don't have a Facebook account nor do I wish to have one. Ok, I got my order placed. Be aware however, PayPal won't cut it. You'll need an Amazon account to enable the purchase to go through. As an update, I recieved my tester last week. Looks to be good quality with a rubber case / protector, simple and easy to use. 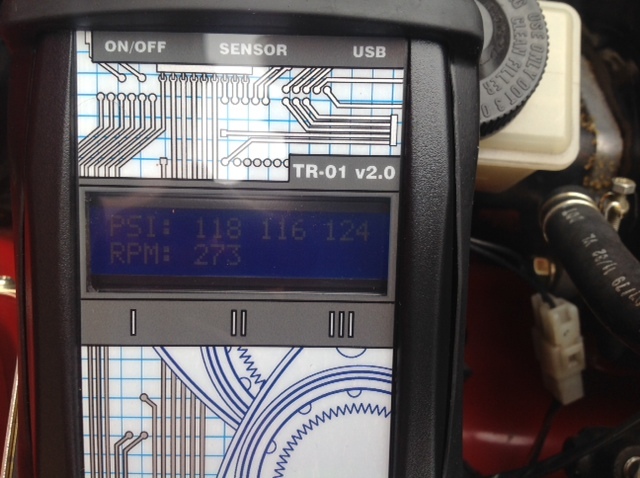 As a point of reference, I tested my 31K mile motor which is completely stock and never been out of the car. I removed the rotor cap and both top plugs. 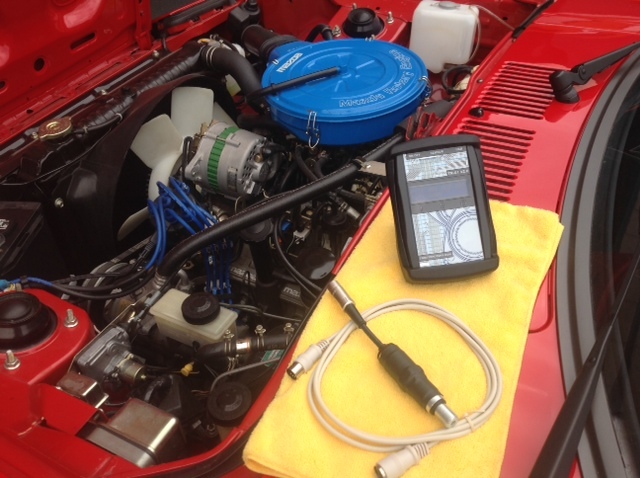 The test was done with the sensor screwed in to the two top plug holes one after the other and using the starter to crank the engine over. 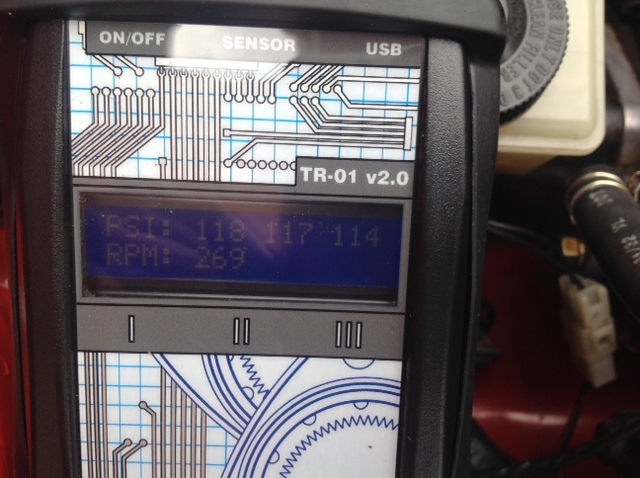 Cranking RPMs were 273 and 269 respectively.